Improve your memory and experience a world where your memory is sharp and clear with the help of this powerful subliminal album! Do you struggle to remember names, dates, and important details? Do you struggle to learn new things and retain new information? Do you want to improve your memory and become more successful in life? Just imagine how much more successful you would be in every area of your life if you had a better memory! No more looking at a person, recognizing the face but agonizing and panicking over not being able to recall their name. No more forgetting best friend’s birthday, facts for making a persuasive argument at a business meeting, no more forgetting the punchline of a joke while everybody is looking at you! 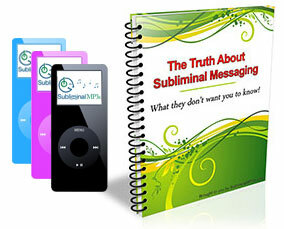 The powerful suggestions in this subliminal memory album will enter your mind as you play it to make dramatic improvements to your memory from the inside out. It will clear your mind and help you to take in information easier, and make sure it goes in right, first time. It will make sure you store information properly and efficiently. Once you learn something you will remember it, no more lost knowledge, or having to really make an effort to remember peoples names etc. Finally it will enhance your accurracy and speed of recall. You will be able to recall information as and when you need it - naturally. This is a fast acting album and when you first start to listen you will feel sharper and more focused, and with an increased ability to concentrate. After a few sessions you will notice you are able to remember little things more and more, and as you continue to listen to the album the changes will build and your memory will grow stronger and stronger. Improving your memory will give you so many more opportunities in life. It will put you in line for promotions, people will see you as an authority figure, as a source of accurate information, people will look up to you, respect your opinion and much more. Download this powerful album today and you could be experiencing the benefits of improved memory in your life straight away! This album works great on its own, but you can combine it with our Enhance Concentration and Pay Attention to Detail albums to maximize the sharpness of your mind.